Harry Davenport, WHAT A CHARACTER! The moment I first saw him he became my grandfather. Or, rather, never having met my own, the image of the grandfather I always wanted. It was at the turn of the last century and he came skipping and singing out of the washroom in the home he shared with his family, which was located on 5135 Kensington Avenue in St. Louis, Missouri. Just as he did for his granddaughters in that house, I knew (in my child’s mind) that he’d stand up for me in support, fib on my behalf if the situation called for it and mend my broken heart if needed. He’d even stand in as my date if the boy next door backed out at the last moment because his tux was stuck in the cleaners. In the recesses of my imagination he remains a comfort. In fact, I still refer to him as “Grandpa” whenever I see him in any one of the numerous films he appeared in even though I now know his name – Harry Davenport. 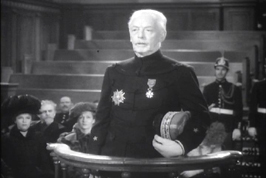 Despite the impact he had on me as Grandpa in Vincente Minnelli’s, Meet Me in St. Louis (1944), the film in which I first saw him, Harry Davenport is probably best remembered for a role he played five years earlier, that of the stalwart Dr. Meade in Victor Fleming’s, Gone With the Wind. As Dr. Meade, Davenport is one of the few people who has the respect of Scarlett O’Hara, which says a lot. He possesses what I like to call a “stern loveliness” that was the trademark of the actor throughout his film career. A legend in acting terms by the time he appeared in Gone With the Wind, Davenport was presented with a special gift by that film’s cast a crew – an actor’s chair to commemorate his sixty-ninth year in show business. He was seventy-four years old. As popular as Gone With the Wind is, however, it is but one of the over 160 films Harry Davenport appeared in. That’s a truly impressive number when one considers he made his screen debut at the age of forty-eight after a long career as a stage actor. Born Harold George Bryant Davenport on January 19, 1866 in New York City, Harry Davenport grew up in Canton, Pennsylvania and came from a family of thespians. 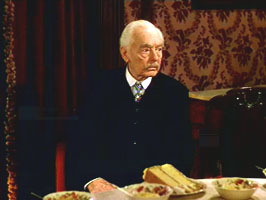 His father, Edward Loomis Davenport was a stage actor in the 1800s best known for playing various Shakespearian roles in both the U.K. and the U.S. Fanny Elizabeth Vining, Harry’s mother, was also a prominent British actress. All nine of the Davenport children shared their parents’ love for the arts and several, including Harry, dedicated their lives to performing. Eventually, all five of Harry Davenport’s children would become actors as well, as would a couple of his grandchildren. 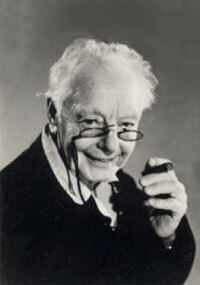 Harry Davenport made his stage debut at the age of five at the Chestnut Theater in Philadelphia in a play written by Richard Edwards, “Damon and Pythias.” Written in a tribute dedicated to Davenport in the “Canton Sunday Telegraph” in 1949 is a notation about the fact that Harry never spent his earnings from that debut. The story doesn’t refer to his being frugal, but rather endearing and sentimental – “His pay was $1.95 in coins of every denomination then current and all dated 1871. A five-dollar gold piece was added as a ‘bonus. '” Davenport kept the old coins in a safe deposit box and often said a million dollars couldn’t make him get rid of them. And it remained so even during the leanest of times. By his teen years Harry Davenport was a veteran stage actor playing Shakespearian stock companies, which he followed by appearing in a long list of Broadway productions. 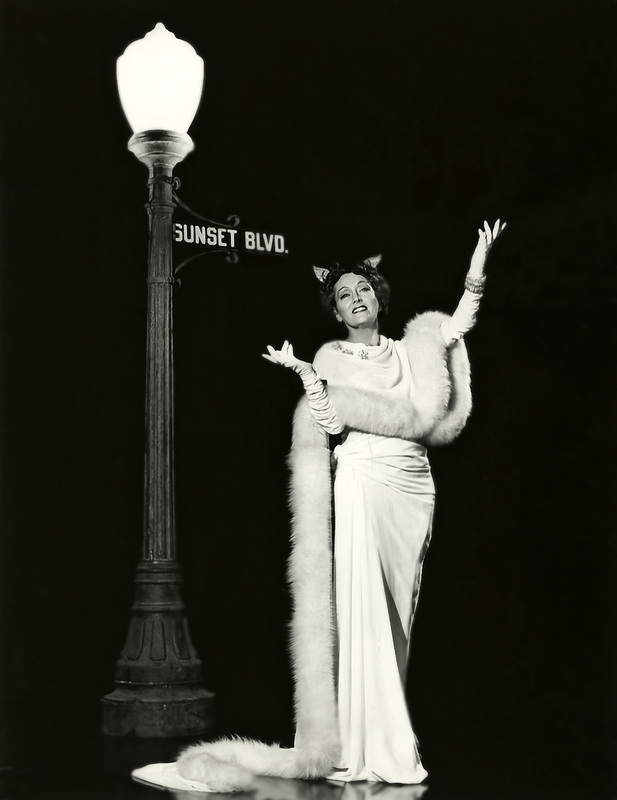 While still working exclusively on the stage, Davenport also co-founded the Actor’s Equity Association (then called “The White Rats”) with stage legend, Eddie Foy. The union was formed to address theater owners’ exploitation of actors. Within the first year “The White Rats” had an enthusiastic membership who would cause a close-out of theaters in protest. It was that difficult situation (for the most part) that prompted Harry to join Vitagraph Studios in 1914 where he made his first film, Sidney Drew’s, Too Many Husbands that same year. Harry followed Husbands with a series of film shorts co-starring another veteran of the stage, Rose Tapley. These included eighteen comedy shorts that made up what is referred to as the “Jarr Family” series. In it, Davenport played Mr. Jarr, the patriarch of the middle-class family whose misadventures the series revolved around. 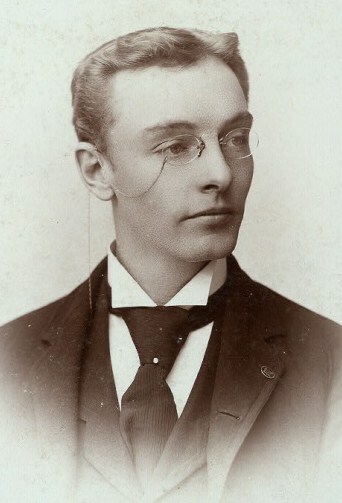 Aside from playing the head of the Jarr family, Harry was also given directing duties in the stories which were based on newspaper dailies written by humorist, Roy McCardell starting in 1907. All eighteen of the Jarr family productions at Vitagraph were produced and released in 1915. Davenport continued to work in film steadily throughout the 1910s, but returned to the stage full-time for the rest of the 1920s after a small, uncredited part in Fred Newmeyer’s, Among Those Present in 1921. Full-time that is if stage work was available. Just like many other Americans at the time, Harry and his second wife Phyllis Rankin (a successful actor in her own right) were living through tough financial times. When not on the stage the couple would make ends meet by teaching acting and theater arts on the side and/or by picking wild strawberries which Phyllis made into preserves. They sold the preserves in New York and were successful enough at it to be able to “hire” local boys to help pick the strawberries. The boys’ pay was the promise of a bicycle to the best picker – a promise that was always kept. Harry Davenport made a few films in the early 1930s, but it wasn’t until Phyllis’ untimely death in 1934 that his film career took off after he decided to travel to California to give Hollywood an earnest effort. Driving cross-country in his jalopy, Harry took his time, stopping in different cities along the way to act in a play or two to earn extra money. He was 69 years old. And, I’d venture to say, could never have imagined that for all intents and purposes a brand-new career awaited him as one of the most beloved, admired and prolific actors in film history. Now settled comfortably in a life in Hollywood, Harry Davenport took on as many movie roles as he could handle. He had a gift for both comedy and drama and specialized in playing earnest, authoritative, wise, and sometimes wise-cracking characters. Most often he played a grandfather, a doctor, a judge, or a politician – men who others turned to for guidance. Just as I imagined I could do after seeing him in Meet Me in St. Louis. During his “twilight” years, when most others would be settling down into retirement, Harry Davenport worked continuously. To put it in perspective, he made thirteen films in what is considered by many to be the greatest year in film, 1939. Aside from GWTW these included John Cromwell’s, Made for Each Other (as Dr. Healy), Irving Cummings’, The Story of Alexander Graham Bell (as Judge Rider), William Dieterle’s, Juarez starring Paul Muni and Bette Davis, and Gus Meins’, Money to Burn (as Grandpa). And from a productive standpoint that year was only so-so for Harry. He’d appeared in nineteen films in 1937. If you’ll indulge me, I must pay homage to a lesser film Harry Davenport appeared in, but one I enjoy immensely – the fifth entry in The Thin Man series, Richard Thorpe’s, The Thin Man Goes Home (1945). Harry Davenport plays Dr. Charles, the father of one of the most popular detectives in filmdom, Nick Charles of Nick and Nora fame. A perfect choice! This particular story shows Nick and Nora returning to Nick’s parents’ house for vacation. Nick’s father, Dr. Charles, always dreamed of his son becoming a doctor as well and collaborating with him on a project for a new hospital. Not familiar with his son’s natural talents for investigation, the Doctor views Nick as little more than a beat cop. Meanwhile, Nick longs for his father’s approval so Nora sets out to involve Nick in a murder mystery in his home town so the old Doctor can be duly impressed. Well, without giving you all the details, in the end the Doctor is quite impressed with the son’s skills and when he tells the younger Charles, Nick’s vest buttons bust with pride (literally). 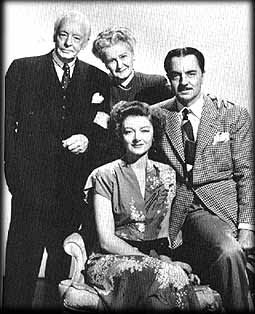 OK, so it’s a bit hokey, but I’ll watch this cast in anything at any time anywhere – the über talented William Powell and Myrna Loy joined not only by Harry Davenport, but also by the great, Lucille Watson. 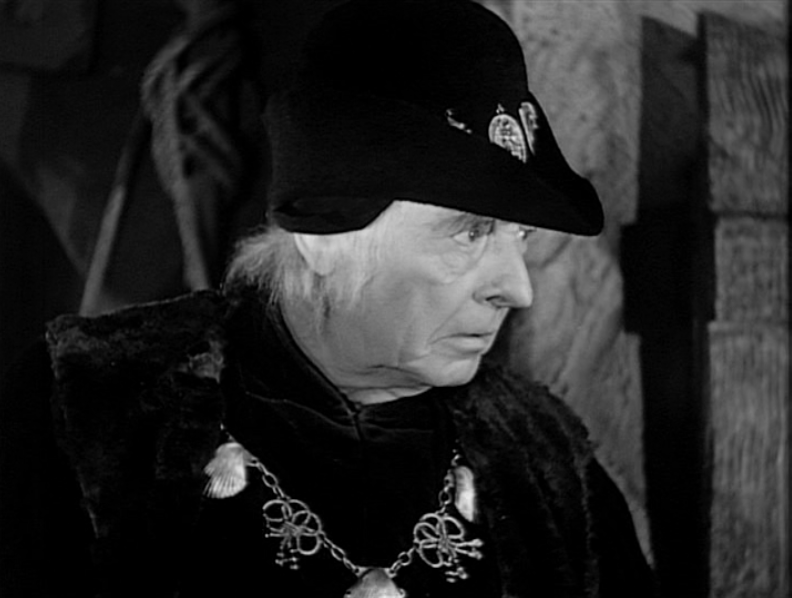 Harry Davenport continued to appear in films up until his death on August 9, 1949 at age eighty-three. 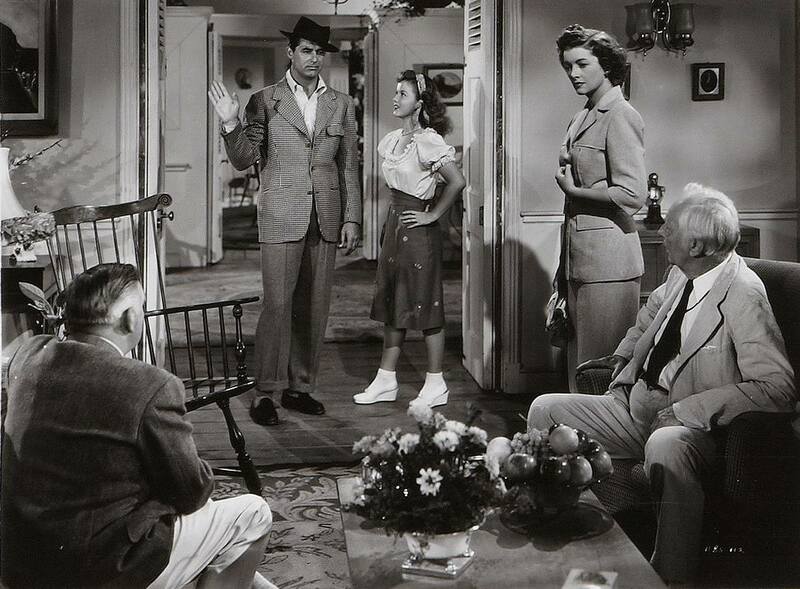 His last film was Frank Capra’s musical-comedy, Riding High (1950), which was released the year after his death. Harry was often asked why he continued to work so hard at his advanced age and to one interviewer he replied, “A man should stand on his feet at any age.” Of Davenport Bette Davis said, “without a doubt, he was the greatest character actor of all time.” I don’t know about that. What I do know is that I owe him many fond memories thanks to his tough demeanor, which was always accompanied by a warm heart – a heart one could almost see. Davenport had the sweetest of smiles and a wonderful, high-pitched, gravelly voice that brightens my spirit whenever I see him. And I know I’m not the only one. Those who knew Harry Davenport personally called him “Pop.” Those who admired his work referred to him as “the Grand Old Man of the American Stage and Screen.” Everyone, it seems, what wild about Harry. WHAT A CHARACTER! This post is part of the What A Character! 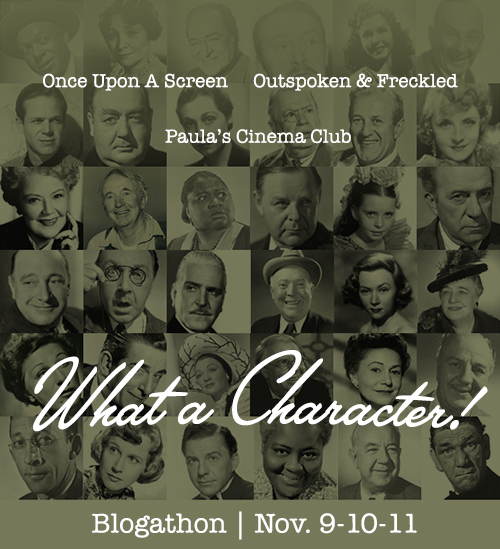 blogathon co-hosted by Outspoken & Freckled, Paula’s Cinema Club and Once Upon a Screen. Be sure to visit any of the host sites for many more entries dedicated to some of the most popular character actors to appear in our beloved classic films. I assure you will not be disappointed. Previous Jessie Royce Landis, WHAT A CHARACTER! Harry Davenport’s background and accomplishments are as impressive as his varied roles. He continues to win the affection of his audience and your article is a fine and worthy tribute. Thanks, Paddy! wonderful actor and I adore him. SO much more after I read about his wonderful journey and love for his craft. A MAGNIFICENT CHARACTER ACTOR, A TRUE CHARACTER! HE WAS GREAT IN MOST OF ALL THE PICTURES HE APPEARED. TWO OF MY FAVORITE FILMS “YOU CAN’T TAKE IT WITH YOU” AND “THE THIN MAN GOES HOME” SHOWED HIS TRUE CHARACTER GENIUS! HE WAS BORN EIGHT MONTHS AFTER PRESENT LINCOLN WAS ASSASSINATED. I cannot imagine, at the age of 69, travelling across the country to start a new life/career, and this without your spouse. Remarkable! I agree, Ruth – the fact that he took to the road at that point in his life is truly remarkable. I’m just starting to read posts now so heading over to yours soon! 😉 It’s always fun to host, but much more so when people turn out with such enthusiasm, which in this case is all about the actors. 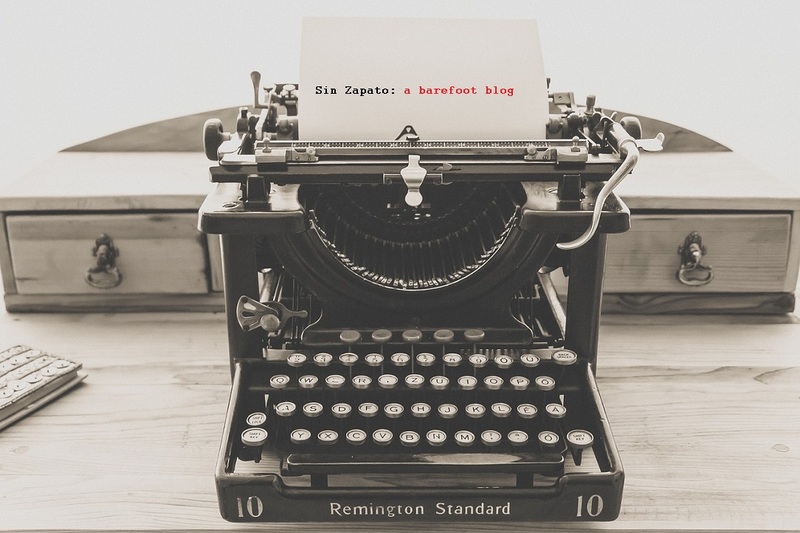 So many great submissions and blogs – I feel very lucky. What perfect casting to have Harry Davenport and Lucille Watson play Nick Charles’s parents. I will have to tivo this when next it comes on TCM. Enjoyed this look at Davenport’s career-he was a great one! Yes, Jenni! I hadn’t seen that Thin Man movie in quite a while and when I saw it again a couple of weeks ago I couldn’t stop smiling. I didn’t even care what the script was like as long as I got to see that fabulous group! Great tribute. Your first sentence is so true. The ideal Grandpa! Amazing to read he was born in 1866 and was so prolific in his 70s and 80s. And what a handsome young man. Thanks so much. YES! I thought he was very handsome too. Woinderful choice, Aurora! 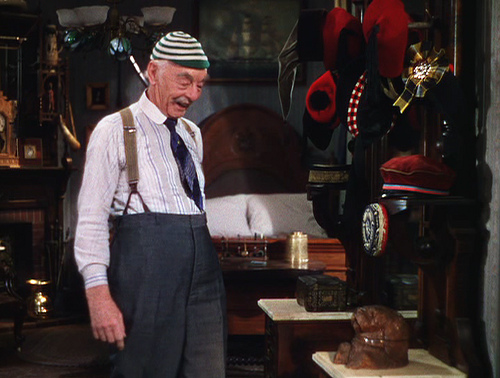 I remember Mr. Davenport best from MEET ME IN ST. LOUIS and THE HUNCHBACK OF NOTRE DAME. Thanks, Rick. Yeah – he was just lovely!! I also love Harry Davenport! Thanks, Aurora! Oh, he is such a favorite. I always smile when I see his face onscreen. Yes! It’s an impossibility not to. What an amazing life story! I really enjoyed learning more about this actor. Great selection, Aurora! ooh – what a great post about a great man. And thanks for filling in some info on his early life. Was his daughter Dorothy Davenport, widow of Wallace Reid? What a wonderful tribute to a truly delightful man. While I was blessed to know and have in my life until well into adulthood my 2 grandfathers and even a great-grandfather, who wouldn’t want another one in the form of Harry Davenport. Such a sweetie, and you have paid wonderful homage to him. Another of his films I really love is The Cowboy and the Lady, with Gary Cooper and Merle Oberon. He is Merle’s uncle in that, and he’s such a sweetheart. I love that he’s your “Grandpa,” yes, he is the perfect Grandpa! This is a wonderful story that I’m glad you shared……another reason to adore him when I see him. When I was a little girl….10 ish or so….Grandma and Grandpa had me watch a LOT of old movies with them. And Harry Davenport seemed to be in every one of them. He was in all of them it seemed! And when, on the rare occasion, we came across one he wasn’t in? Apparently I’d throw a fit. LOL! Harry makes me feel all warm and fuzzy! I think his kindness just comes across the screen. Just like a Grandpas would. Lovely work, now here’s someone I truly like, in many of the same movies you mentioned, especially Meet Me in St. Louis! yet knew almost nothing about, and now you’ve enlightened me. I certainly have never seen him that young! Thanks for cohosting yet another great year of this event, so enjoyable to be a part of and make the rounds in. How lovely, Aurora! 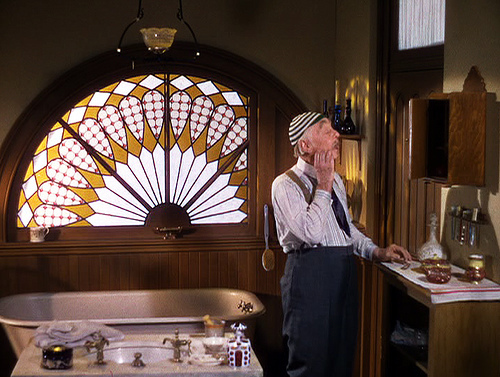 Grandpas in film are always so nice and sympathetic, usually the same as they are in real life. 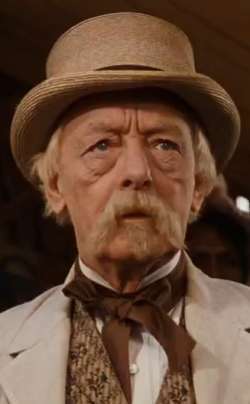 I remember Harry better from Meet Me in St. Louis, too, but I must confess his name was more familiar to me than his face. Davenport was one of the best. I really enjoyed him in the 1938 film The Cowboy And The Lady. It is a real hoot to see Davenport perform the song and dance number A Tisket A Tasket. OH! Thanks for commenting on that, John. I haven’t seen that! I love him though. At some point in his California years he disowned daughter Dorothy Davenport and refused to speak to grandson Billy Reid when he went up and introduced himself one evening.